The fans pick: Yes! It's my 가장 좋아하는 movie. Is Winx Club your 가장 좋아하는 show? The fans pick: Yes, it's my 가장 좋아하는 show! 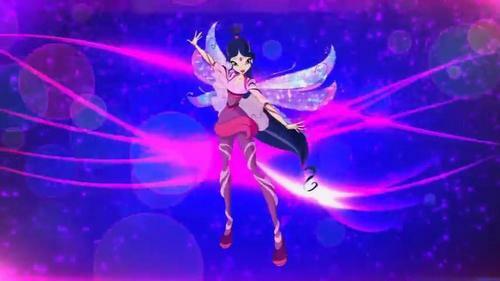 Who's your 가장 좋아하는 Winx Club girl? If 당신 like someone but that person likes someone else what would 당신 do? how special 당신 are to me. how to 사랑 and care for others. I fall in 사랑 with your kindness heart. 당신 tough me how to 사랑 and care. remember that 당신 always 사랑 me no matter what. Every 일 with 당신 is blessing. Every 일 with 당신 is memorable. Every 일 with 당신 is something new. Ever since I met 당신 you're like My Light and I am your Shadow. 당신 Light up my days every time we talk every moments with 당신 is special. Every time I talk to 당신 I always learn something new about life and friendship. For I think it is 당신 who is true. So just know Asykar, I 사랑 you. I know so cause 당신 twirled. HE: Do U 사랑 me? HE: Did 당신 ever cheat me? HE: Will 당신 키스 me? HE: Will 당신 hurt me? 저기요 guys I am not going to be here for almost 1 week I am going to vacation with my family 디즈니 World. a comment was made to the photo: 아니메 Boy! a comment was made to the poll: Do 당신 like anime?! a comment was made to the poll: Is Winx Club your 가장 좋아하는 show?